My thanks to Mr. Knave for taking the time to talk to me, and all of you for taking the time to read it (or suffer through it in silence, depending). More jibbity-jab after the jump. JL: So how long have you been doing comics then between this and…I’m assuming you’re pretty new to it between this and Legend of the Burrito Blade and the other webcomic whose name has dodged me [Things Wrong With Me]… AK: I’ve only really been doing this for, good lord, probably less than a year, writing comics? JL: That is not a very long period of time. Do you see your work changing over the course of the year? AK: Oh, good lord, yes. I have a story which will hopefully be in Volume Four. And you know, I gotta say, I do love Popgun, if only because we don’t get our stories in any easier than anyone else. I’ve had stuff rejected. AK: Oh yeah. I have a story idea, I send it off to Anthony and D.J., who are editing Volume Four, and I’ll be their assistant again. And they were just like, ‘No, this doesn’t really work for us.’ Okay, so I tried again. It’s just as tough for us. Comics is a whole new world. That’s part of why I’m doing things like Burrito Blade, because me and my artist---and I don’t know if you’ve looked at the comic at all—but he has, frighteningly enough, never drawn this many sequential pages of anything in his life. And you can see in the first thirty pages, his art is taking these weird leaps. Every three or four pages, he’s learning new tricks. We just decided that this is a five year boot camp project, where I’m just writing script every few weeks—and that’s why I have an editor—and he’s just producing three pages a week, come hell or high water. And it forces you to up your game consistently, because there’s no waiting, there’s no second thoughts. It’s just, you write, and you get it back and you see it. And you go, ‘Wow, I could’ve done that better,’ and they you write more and you figure it out. JL: I do notice that with Burrito Blade, that some of is his storytelling and some of it is your storytelling, but it almost feels like when you get on a ten-speed bicycle, and it’s not quite in the right gear at first, and then as you go in, there’s a sense of things being figured out. It’s good, because it does feel a bit like boot camp, and it’s sort of fun to read because of that, I think. AK: And from where we are, because we’re neurotic, we’re something like four months ahead of publication. Because part of boot camp is, we both want to be in the industry more. I’m kind of edging close to it now, but that’ll only get you so far. And part of it is not only being able to do the work but being able to hit the deadlines. And, you know, having an artist who is obsessive about deadlines is strange. JL: Yeah, that right there is like, chain yourself to that guy. And I will say to him, ‘this is not…this needs to be flipped, this needs to be here, here’s this old weird comic panel as what we’re trying to do, look at this for reference.’ And he’ll just go, okay, scrap the entire page, and re-draw it. He’s never balked at anything, because he just wants to get better and hit deadlines and make this all work. So we’re all coming from this place so that, by now, we’re in the middle of doing—he just started actually drawing Chapter Four. Which they went about an issue—between twenty-one and thirty pages a chapter—because we’re making a graphic novel, and we set limits on it to try and hit those marks, for pacing issues and everything else. And by Chapter Four, the writing—just being able to see it when I get it back from my editor—the writing is tighter. There’s less of this, ‘I’ll spend a page when I should be spending two panels.’ And his art is getting better, just knowing how to move a camera. JL: That actually brings a question for me about ‘Legend of the Burrito Blade,’ and I’m sorry to actually interrupt what I was asking you because I do want to hear about you and Renato, too. But it is very, very goofy for something that sounds so incredibly ambitious on your guys’ end. AK: I can’t not do that. I love being able to go, ‘you know what? Today I want a muffin to explode.’ Just because that makes me laugh right now. I want to make a Real Genius float, just because…who doesn’t love Real Genius? But at the same time, I want to do this deep, big story that’s very ambitious, and part of me has a little bit of fear there, where if we fail in the big ambitious thing, at least we still have the funny to lean on. Just being perfectly honest, that does exist there. And the rest of it is, I’ve always personally love stories that are a lot deeper than they seem on the surface. So you’re not hammering the point—you can read Burrito Blade through the five year story we have planned, and never get any of the deeper stuff we’re talking about but hopefully still enjoy it. [It’s too fine a point to being two things at once], but it’s just that’s kind of how I write, sadly. JL: It’s funny because it reminds me—I just assume that you’re much, much younger than I am—but it reminds me of some of the weird ‘70s Marvel stuff. Definitely there’s a lot of Steve Gerber— AK: Yes, there is. There is a lot of Steve Gerber in that. I will tell you—and D.J. can not like me for saying this—if we get the second Agents of the WTF story done [for Popgun Vol. 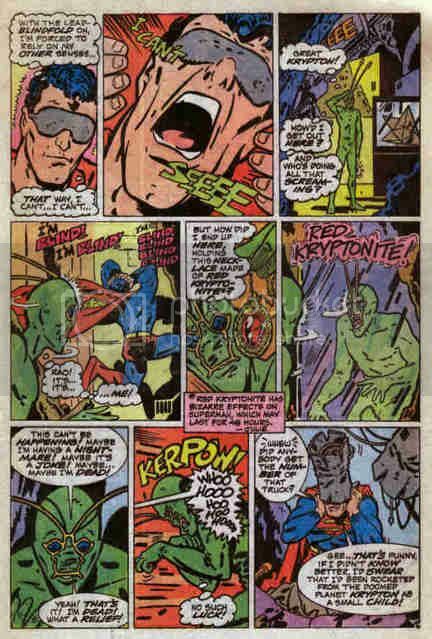 4], there is…people will who know Steve Gerber will just look at me and go, ‘you stole what?’ Because I had to, and sadly D.J. is not as big a Gerber fan as I am. But I used to have a column, which I should really get back to someday, where I was going through every issue of Dazzler. Because, frankly, I love Dazzler. And looking back at it now, it was twenty years ahead of its time. And Bob Haney invented pop comics—and all that stuff…I have a theory about comics that really only two people have ever really ever nailed, which is that there is a speed of ludicrous. Not the Mel Brooks’ ‘ludicrous speed,’ perhaps ludicrous is the wrong word to use then. But it’s really Bob Burden and Keith Giffen are the only people I know who nail this thing consistently, where you go just fast enough that all of the crazy just kind of happens, but not so fast that it blurs and you can’t keep up and you get confused, and not so slow that you can see the fact that it’s all crazy and it falls apart. There’s a sweet spot of ‘insane’ that things have to be able to move at. 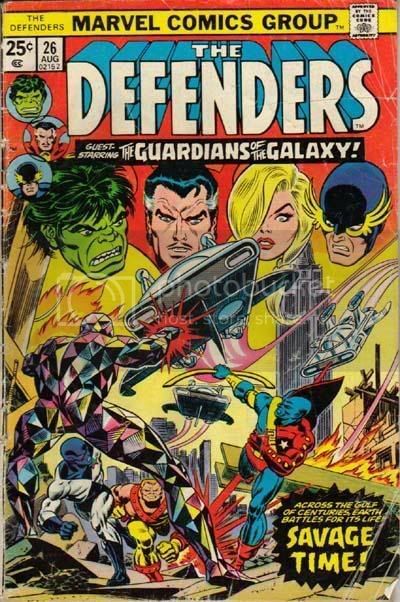 And a lot of those old things, like, Gerber did it in a completely different way but he was doing the same thing with Howard the Duck and some of his Defenders work, god knows. And Giffen and Bob Burden live there. They kind of built the house. But yeah, that’s exactly where I live. That weird ‘70s Marvel, ‘let’s just be crazy and also tell a story’ place. JL: And I wanted to ask you, actually: one thing that did strike me about the Burrito Blade, was even as I was reading it and I’m like, ‘yeah, these guys are still learning and putting things together,’ I was also like, ‘damned if you didn’t nail down, here’s the end of the page and here’s the event that happens at the page turn.’ AK: When I started writing, I told Lauren, ‘keep an eye on this editing-wise,’ because I had the weirdest job in the universe: three pages a week means that you read a page and the next day there’s nothing there. There’s no reason for you to show up. So every page has to give you a reason to want to come back two days later, every third page has to give the reader a reason to want to come back three days later, but it also has to read as a complete chapter, where all the chapters have to read as a complete volume, and all three volumes have to read as a complete god-damn story. So every single page has to play about four different roles. Those turn-points, there’s always a moment at the end of everything—it’s crucially important in my head because I always want people to come back. It’s the old page 22 in Waid’s entire Flash run. JL: Yeah, exactly! But each page definitely has a very strong intention to hit that beat, which I thought was interesting. AK: Well, I’m glad it’s working.